Visit our shop for a selection of over 40,000 high-quality piercings. Book an appointment for a customized piercing session with us. Our hygiene certificates, the HHÖ seal, expert assessments, and testimonials. The Vienna Piercing Studio is officially certified, hygienic, professional, reasonably priced, state-of-the-art, and fully equipped. We have a trading license and a hygiene certificate for our studio and our autoclaves, among many other distinctions. We would also like to highlight our wellness partnership with the Austrian Chamber of Commerce and our HHÖ seal which ensures the highest level of safety as regards hygiene and prevention. Due to the prevalence of studios who are willing to run serious health risks, who neglect hygiene standards out of financial greed, or who fail to adhere to the existing legal regulations, it is especially important to us to offer our clients all the things they cannot find elsewhere. Marc-André Stingel is highly knowledgeable in the fields of piercing and medicine, and he will provide you with personalized, professional advice on the full range of piercing techniques (piercing, punching, stretching, surface piercing). A good piercing studio is characterized by its level of hygiene, quality, and service. In contrast, what a studio charges its customers says little about the quality of its service. Here you will learn more about what to look for when selecting a piercing studio. The healing phase of a piercing depends on the individual and can take weeks or even months. Here you will be given tips on the proper care of oral, genital, or any other types of piercing that you may opt for. Piercing is his passion: Marc-André has mastered all facets of professional body piercing, including piercing with a disposable cannula (1.2mm-2.0mm) and stretching with sterile surgical tools. His precision and perfection is unmatched. The implants he uses are made of sterile, nickel-free titanium G23, Bioplast, or PTFE. During his studies in dentistry and subsequently in economics, he was able to gather international piercing experience. Marc-André successfully passed the body piercing examinations, including the technical discussion and submission of a work sample required for body piercing (according to §19GwO), and received a trading license. He is therefore one of the few commercial piercers in Austria. As a freelance expert in the field of body piercing, piercing, and body jewelry, he is well-versed in all relevant legal matters and is constantly developing his skills. Navel piercing, earlobe piercing, dermal anchors: The variety of piercings is virtually endless. When selecting the right body part and type of piercing for you, you can consult the following picture gallery for some inspiration. We will keep you informed of all current trends, events, and news regarding the topic of piercing and our studio! Our highest priority is making you feel welcome in our studio and ensuring that you go home satisfied. 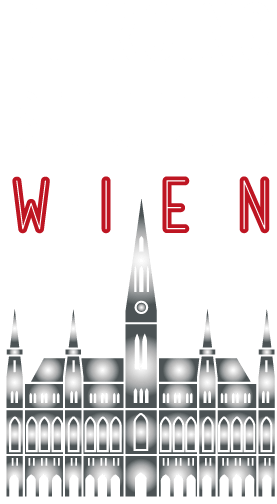 We have plenty of information to offer you, and this is where you will find the current test reviews, recommendations, and customer opinions on the Vienna Piercing Studio.